20g custom Rizzini cased 28inch with 5 chokes. 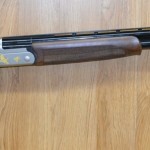 exhibition grade timber, game scene side plates with real gold en lay, perfectly balanced firearm on proper size frame. 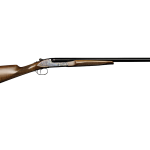 CZ Redhead 12GA 28" CZ have been producing firearms since 1937 for military and civilian use and have since built a reputation for reliability and strength. CZ Ringneck 410 CZ have been producing firearms since 1937 for military and civilian use and have since built a reputation for reliability and strength.